Adding a kitchen island is one of the most effective ways to solve the problem that far too many homeowners have: limited kitchen and storage space. Time- and labor-saving kitchen appliances become considerably less convenient when you have to haul them out of the closet every time you need them because you don't have enough counter space for the blender, microwave, mixer, bread machine, and other helpers. Whether you're setting out a mise en place before cooking or simply need room to put all your grocery bags when you get home from shopping, an island helps you maximize the limited space in your kitchen. 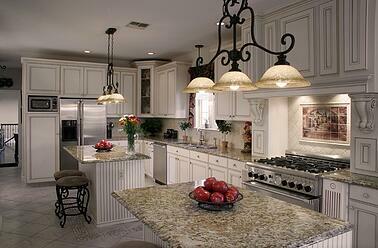 An island can also enhance the appearance of the room and increase the value of your home. 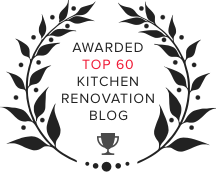 But when you don't have the money or inclination to redo your entire kitchen, how do you make your new kitchen island fit into your existing décor? Countertops are generally not very difficult to match, if you want your kitchen island to blend subtly into your existing kitchen design--but cabinets are another story. There are an enormous variety of styles, colors, and materials available for kitchen cabinets, and if your goal is to find an exact match for your base cabinets when choosing the materials for your new island, you might run into difficulty. The good news is, you don't need an exact match in order to make your kitchen island look like it belongs. In fact, selecting the closest available pattern might just make the not-quite-match that much more obvious. If you're not redecorating your entire kitchen, and you don't have the exact model of cabinet available as was used in the rest of your kitchen, not to worry! Choosing island cabinets in a complementary style is easy, and gives you much more freedom of decorating creativity (and price!). 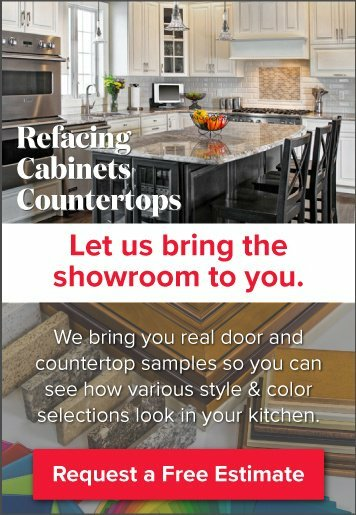 Of course, having that freedom can be a little intimidating for novice home decorators: how do you choose island cabinet colors and styles if you're not just trying to match your existing cabinets as closely as possible? 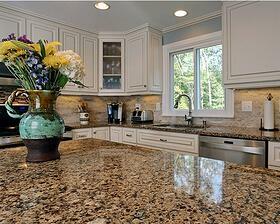 Start by looking around your kitchen, noticing the colors of the room's features. Are the walls painted? Is there an accent color in your kitchen cabinets? 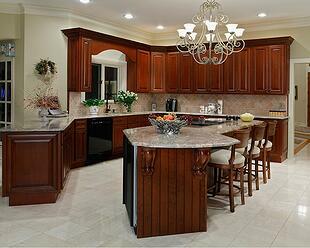 What color are the countertops? You can use any of these colors as an inspiration when choosing cabinets for your kitchen island. You don't have to break out the color swatches to find an exact match here. As long as the colors look harmonious together, a little contrast isn't a bad thing. The same is true of style choices. Since there are as many different options for cabinet styles as there are for tables, chairs, or dressers, it's unlikely that you'll find a precise match for your existing cabinets – and unnecessary. Instead, consider the general theme of your kitchen décor: do your current cabinets and fixtures have the sleek, minimalist appearance of a more modern design, or the elaborate scrollwork and antique finish of a more classical approach? 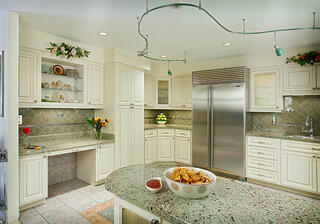 Does your kitchen project the appearance of polished elegance, or something more comfortingly home-like? 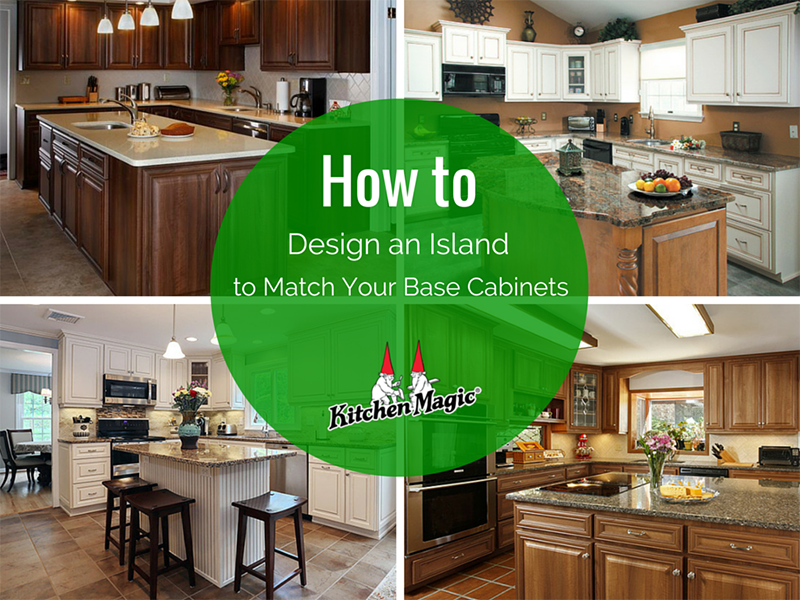 By letting these answers guide your choices, you'll be able to find a style of island cabinets that fits seamlessly into your existing kitchen design without necessarily striking an exact match. When choosing cabinets for your new kitchen island, don't be afraid to get a little creative. Odds are, your bold style choice will be a striking complement to your current décor, and may even provide inspiration for future projects. There are no hard-and-fast rules here: you simply need to find what feels right.